Shangri-La Asia (69 HK) reported a 15% revenue growth to USD2.5b in FY18, bringing full year PATMI to USD192.9m which is a 22.1% increase compared to FY17. The gains in revenue were primarily driven by the carry-over impact of opening of new hotels, improvement in hotel performances after major renovation of ShangriLa Hotel, Singapore and favourable foreign exchange rates. The weighted average occupancy was 68% in FY18, compared with 67% in FY17. RevPAR increased 6% YoY to USD115. With the interim dividend of 8 HK cents per share paid in October 2018, the company has declared a total dividend of 22 HK cents per share in FY18, higher than that of 17 HK cents in FY17. 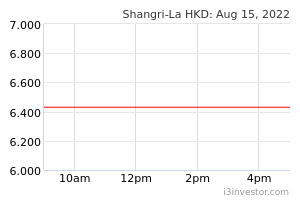 We currently have a BUY rating with a FV estimate of HK$16.40.